VENTURE NASHVILLE on Aug. 6, 2018 simultaneously posed five economic-development issues to Tennessee gubernatorial candidates Bill Lee (R-Franklin) and Karl Dean (D-Nashville), for their comments. Many of these issues gained salience during the Administrations of Gov. Bill Haslam (R-Knoxville) and former Governor Phil Bredesen (D-Nashville). Staff of both candidates indicated Aug. 6 they would work to provide responses by today. Comments from the Lee Campaign arrived and are included below. This story will of course be updated with any responses we receive from the Dean campaign. Economic development - General - Incentives & Transparency. -- There is strong interest among many Tennesseans to know more about incentives the State is awarding for recruitment, retention and expansion of mature businesses for Tennessee, and the economic/financial returns from those incentives. Do you intend your Administration to have less, same or increased transparency in these programs, and what steps will you take to ensure public support for and adequate returns from such investments? BILL LEE -- A large part of the concern with these investments stems from a lack of transparency in ECD. It's hard to make the case that we are being as effective as possible with taxpayer money if we're not releasing regular audits and reports on performance. As governor, I'll ensure regular reporting and statements on the return on investment in ECD, and where our ROI falls short, I'll ensure we audit what happened and make sure we don't make those mistakes again. KARL DEAN -- This story will be updated with responses from the Dean campaign, if any. Economic development -- Tennessee household income improvement. -- The Haslam Administration has sought to improve Tennesseans' household income and effective buying power and to create more good jobs that pay attractive wages. Average Household income has nonetheless languished, relative to other states. What is your strategy for moving the needle on Household Income and improving Tennessee standing among states, in absolute terms? BILL LEE -- We still have one of the highest F&E taxes in the region, and for businesses, our tax structure puts up limitations to investing in growing and developing high paying jobs. For instance, the new federal rules on temporary full expensing for capital expenditures have created a huge incentive for companies to invest in new machinery or expansion. We should continue to look at ways to streamline and reduce our F&E burden to give businesses more freedom to invest in high-paying jobs. Economic development - West Tennessee Megasite. -- TN ECD Commissioner Bobby Rolfe reported July 9 to the West TN Economic Development Caucus that in addition to the roughly $200MM direct cost of this site -- under development for 10 years -- it could take an additional $500MM-$600MM in incentives to land a major advanced manufacturer on the site. Do you plan to continue supporting development and marketing of the West Tennessee Megasite, as have several gubernatorial Administrations before you? BILL LEE -- We have to complete the Memphis Regional Megasite. It is an opportunity for economic development in West Tennessee, an area that has consistently drawn the short end of the stick in terms of state economic resources. The failure of this project so far is just another example of how ineffective government can be when it is disconnected from the realities of accountability that private sector actors deal with every day. While we work to finish the Megasite, I'd like to see substantially more transparency and accountability brought to ECD to ensure that an issue like this does not happen again. Economic development - Risk Capital for Seed and early-stage businesses. -- Current funding for the state's Angel Tax Credit is offset by reductions in Hall Income Tax obligation, but the Hall Tax is being phased-out. (a) What, if any, plan do you have for encouraging Angel investors to come off the sidelines and help fund innovative new companies based in Tennessee? (b) The state's TNInvestco capital-formation program for early-stage companies was launched with bipartisan support in the General Assembly and signed into law by Gov. Phil Bredesen. Both praise and criticism followed. The Comptroller made a cursory review of the program and declared it a failure. Would you revisit the idea of a TNInvestco program or some similar initiative? Some astute observers believe weaknesses in the original TNInvestco program -- funded, in that instance, by allowing qualified venture firms to sell insurance premium tax credits -- could be remedied. Some observers also argue that the current strong business cycle will doubtless retrench, exacerbating what many believe is a capital shortage in the most crucial stage of formation of potentially high-growth businesses. Will you support a detailed study of the TNInvestco program, lessons learned from it and possible policy innovation to spur innovation in the Tennessee economy? 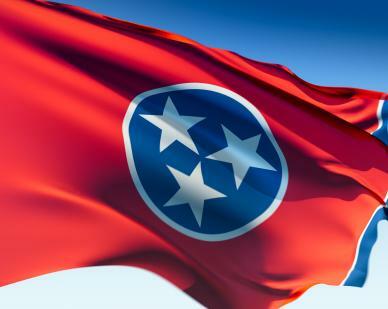 BILL LEE -- (a) The current tax credit program has been a positive policy shift for Tennessee with investors leading rather than having state government directly involved in picking winners and losers. I look forward to working with our Department of Revenue to identify other tax liabilities we can look to for this program. As governor, I will approach economic development with the thought that a job created in Tennessee is better than a job recruited to Tennessee. Government programs that actively try to skew the investment market tend to have mixed results. (b) Government does not have an expertise in beating the market or outsmarting the business cycle. The initial return on investment in TNInvestco is troubling, and Tennesseans are asking a fair question about whether TNInvestco is the best use of tax dollars. A further review is necessary to figure out where the program has fallen short. Tennessee Intellectual Property Commercialization for economic development. -- For years, TN has lagged relative to many other states in both licensing and other commercialization of intellectual property owned by in-state research universities and other institutions, and has lagged in rankings of corporate spending in Tennessee for research that can produce innovations. What do you plan to do to assess and remedy this multifaceted situation? BILL LEE -- I believe Tennessee can lead the nation, but it takes the right kind of leadership. To solve this problem, we need a renewed focus on education, but it would look a little different than asked in this question. We should be ensuring a Tennessee high school graduate has the tools they need to work in a trade immediately upon graduation. This can be accomplished by forging educational partnerships with the private sector and businesses like mine for mentorships, study programs and hands-on instruction. By tackling vocational, technical and agricultural needs in education earlier, two and four-year institutions can focus more on innovation and new studies. All educational outcomes would improve, and that can lead to more innovative educational outcomes and research being attracted to Tennessee. This is a remarkable place to live, and we can attract the nation's best and brightest even more with a renewed focus on all levels of education.